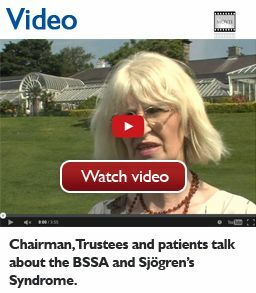 www.bssa.uk.net is a site operated by British Sjögren's Syndrome Association ("We"). We are charitable company limited by guarantee registered in England and Wales under company number 04771837 and charity number 1101571 and have our registered office at PO Box 15040, Birmingham, West Midlands B31 9DP. We may revise these terms (or any of the additional terms referred to) of use at any time by amending this page (or the relevant page on which the terms are contained). Please check this page and any other applicable terms from time to time to take notice of any changes we made, as they are binding on you. 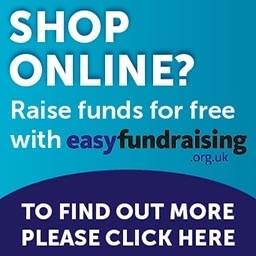 Our site is made available free of charge (save in respect of the Online Members’ Portal). This section applies to users of the Online Members’ Portal, which can only be accessed by users who register for the Online Members’ Portal and pay the registration charge. The registration charge is £25 per annum for members in the United Kingdom and £30 per annum for users outside of the United Kingdom. We may review and increase the registration charge at any time, any change in the registration charge will not take effect until your membership is up for renewal. You may cancel your membership at any time by emailing office@bssa.uk.net or calling us on 0121 478 0222. If you cancel within the first 14 days of registration you will be entitled to a full refund of the registration charge. You can use our template model cancellation form. If you cancel after the first 14 days of registration, you will not be entitled to a refund of the registration charge. access to all of the Online Member’ Portal content (including the member’s forum and literature that we publish). If you know or suspect that anyone other than you knows your user identification code or password, you must promptly notify us at office@bssa.uk.net or telephone 0121 478 0222. The material published on our site, including any content available through the Online Members’ Portal is protected by copyright laws. All such rights are reserved. You may print off one copy, and may download extracts of any page(s) from our site, or documents we publish for download, for your personal use only. You must not use any part of the content on our site for commercial purposes. You warrant that any such contribution does comply with those standards, and you will be responsible for any loss or damage we suffer as a result of your breach of warranty. Any content you upload to our site will be considered non-confidential and non-proprietary. You retain all of your ownership rights in your content, but in uploading any content, you to grant us and other users of our site a limited licence to use, store and copy that content and to distribute and make it available to third parties. Where our site contains links to other sites and resources provided by third parties, these links are provided for your information only. We have no control over the contents of those sites or resources. We will not be liable for any loss or damage that may arise from your use of them. We offer a telephone help and support line (referred to as the “Helpline”). The Helpline is provided for general information and support only. The people who operate the Helpline are not medically qualified and the Helpline is not intended to provide advice on which you should rely. You agree that you shall not ask for advice nor rely on any information provided or discussions held over the Helpline You must obtain professional or specialist advice before taking, or refraining from, any action on the basis of any discussions that you may have or information that you may receive on the Helpline. Whilst we shall use reasonable efforts to provide the Helpline during the days and times stated on our site, we do not guarantee that the Helpline will be available during these periods. We may withdraw the Helpline at any time. use of or reliance on any information or support provided on the Helpline. Nothing in this section excludes or limits our liability for death or personal injury arising from our negligence, or our fraud or fraudulent misrepresentation, or any other liability that cannot be excluded or limited by English law. To contact us, please email office@bssa.uk.net.